St. Paul’s College is dedicated to providing the best possible educational outcomes for its students. In order to do so, we are constantly revising and updating our curriculum offerings in order to suit the needs of our future graduates. The College had long been considering the possibility of offering alternative curricula to meet the specific requirements of our students. After considerable review, analysis and examination, we implemented a new curriculum, which commenced in Form 4 in the 2017-2018 school year. The GCE/IAL curriculum is be offered to Form 5-6 students, with a Foundation year in Form 4. Many of our students, we recognize, have greater facility in Mathematics and science-oriented subjects, and wish to pursue these in greater depth. Similarly, we recognize that some students prefer not to undertake a curriculum which concentrates on language acquisition skills in preference to a more scientific orientation. While SPC is, and will remain, an overwhelmingly DSE school, we are also pleased to offer an opportunity for our students to explore alternative pathways. As parents and students investigate their senior study direction, we would like to present the opportunity of studying the GCE/IAL curriculum as a viable and attractive alternative pathway for their senior education. By broadening our outlook, we are in position to serve each of our students according to their particular needs and academic orientation. We look forward to remaining strong partners with our students, parents, alumni and community in helping them to choose their pathways for a brighter future! St. Paul’s College is an Anglican school established in 1851. 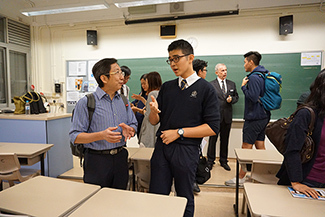 We are endowed with an English teaching tradition within the local curriculum. In 2002, we changed the subsidy mode to the Direct Subsidy Scheme, in order to benefit from the autonomy provided in manpower and resource allocation and student admission. With the advent of the GCE IAL curriculum, our students are free to pursue GCE and International A Level exams in parallel with the DSE exams. 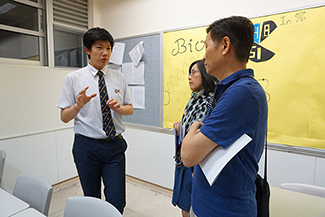 To acknowledge the needs of our students, we recognize that GCE and International A Level education gives St. Paul’s College a real alternative to the DSE curriculum, which may allow a more suitable pathway for many of our students. Students doing GCE IAL will also need to take IELTS in order to gain an English qualifications. Students are assisted in this process at the College. Students also do Religious Studies, Visual Arts, Physical Education, Music and Liberal Studies (Form 4). #Students are only required to take either Biology or Further Mathematics in Form 5 and Form 6. All Hong Kong UGC universities recognize the GCE and IAL qualification. Hong Kong students can be assessed as a non-JUPAS candidate. Each university has a separate mechanism for evaluating students, just as they do for DSE candidates. In addition, many Hong Kong universities have an early-admission scheme based on prior exam results or predicted grades, as is the case in the United Kingdom.